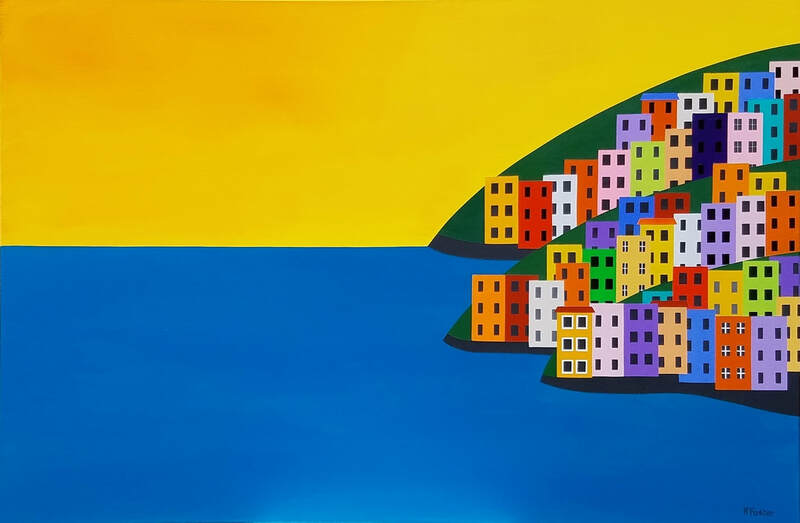 ﻿Acrylic on Canvas 24" x 36"
Perched on the hillside along the Mediterranean coast of Italy, at first these buildings appear precariously exposed to the elements, but they have stood the test of time with their rock-solid foundations. ​All my paintings are hand painted, brush stroke by brush stroke, combining a masking technique that I have perfected over many years. Someone once commented that, when viewed on my website, my paintings look so perfect that they must be digitally produced. ​They are not, which is obvious when seen in real life.